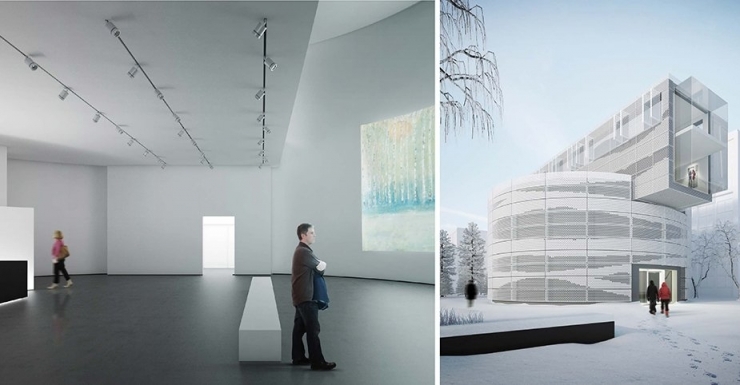 The Museum of Russian Impressionism in Moscow is a new cultural foundation established by Boris Mints, dedicated to the exposition of the school of Russian Impressionist painting. This artistic movement had its origins in the latter half of the 19th century and was a precursor to the Soviet avant-garde movement that flourished in the early part of the 20th century. The Museum of Russian Impressionism is located within the precincts of the Bolshevik Factory on Leningradskiy Prospect, one of the city’s most important historic industrial complexes, dating from 1854. This distinctive building has now been transformed into a new cultural destination part of Moscow’s continuing renaissance as an evolving world city. The Museum comprises over 1,000 square metres of exhibition space, arranged over three floors, with the permanent collection on the ground floor and temporary exhibits displayed on the upper floors. Each year the Museum will host loan exhibitions from the world’s leading museums and private collections. The facility also includes a fully equipped storage and archival facility.